Bodnarus Auctioneering is celebrating their next auction from their Global Auction Marketplace, now in its 10th year. This month they have over 2650 lots to chose from over 3 big auction days. 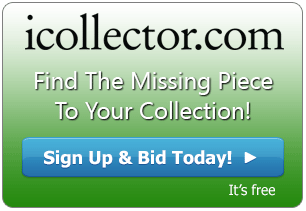 There is a vast array of collectibles, household items, tools, memorabilia and much more. The auction is open for live and absentee bidding throughout the month right up until auction day. The live auction kicks off at 10AM Central Time on all three days, June 6th to 8th, 2017. This auction is online only and will have a live auctioneer with full audio feed so bidders a part of all the action. Bodnarus Auctioneering was founded in June of 2007 by Frederick Bodnarus. Frederick graduated from Auctioneering School in January 1997. Since that time he has conducted numerous auctions from agriculture equipment, real estate, livestock, automobile, and general merchandise auctions. Today Bodnarus Auctioneering is one of the fastest growing full service auction companies in Western Canada. Through hard work and a commitment to excellence, Bodnarus has a proven record of successful auctions. Day 1 features some great neon advertising signs for collectors. Lot 1081 is a great Bud Light Sign in full working condition. The next lot, 1082, is a Drummond Draft Neon Sign. 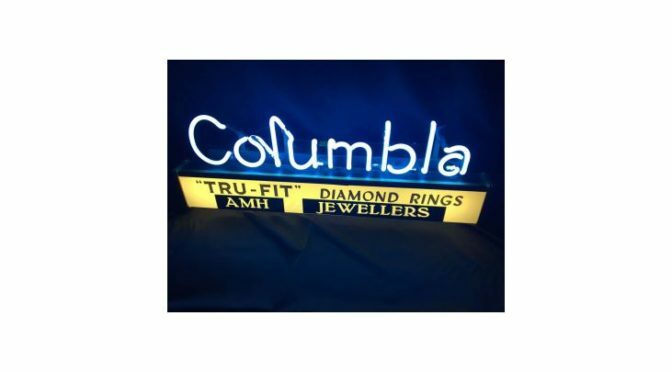 Flipping ahead to Lot 1274 is a unique Columbla Diamonds Sign. All three are in working condition with a nice photo in the online catalog. Day 2 has a great selection of collectible bottles up for grabs. Lot 2001 kicks off the day with a lot of six medicine bottles and Lot 2003 shows a pair of vintage pop bottles featuring 7-UP and High and Dry Ginger Ale. A cool pair of Penguin Whisky Bottles is on the auction block at 2161, and Lot 2270 presents a large selection of vintage liquor and medicine bottles. There are beer bottles, pop bottles, perfume bottles, and much more to chose from throughout the sale. Day 3 has some great Coca Cola collectibles to chose from. Lot 3047 presents three toy trucks to add to the collection. There is a beautiful framed Coke advertisement up for grabs at Lot 3098 as well. Lots 3500 and 3503 offer up some Coke serving trays to the highest bidder. Each lot opens for $5 and sells to the highest bidder. All auction sessions on the Global Auction Marketplace are available online with photos and descriptions ready for registration and bidding. Bodnarus Auctioneering is ready and able to answer any questions via email or telephone and are looking forward to offering great buys. The three days are Tuesday June 6th to Thursday June 8th, 2017.